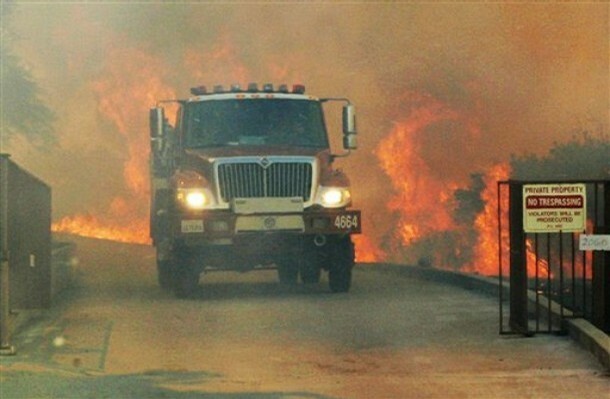 A “Wildland Interface” is where urban firefighting meets wildland firefighting. Structures that are in and at the edges of wildlands are threatened and require skills and equipment of both disciplines. Ebbetts Pass Fire District is entirely within such a land area. A vast majority of the lands within the Ebbetts Pass Fire District are undeveloped forest lands both public and private. Wildland fires are common during the summer months of fire season. A Fire Season can occur from early May into December depending on the previous winter conditions. As a national trend, homes and sub-divisions are being constructed within this fuel environment and add to the complexity of fire suppression. Fire danger in these areas can be high due to fuel arrangement of forest lands. Ebbetts Pass Fire District firefighters train on wildland fire response and tactics frequently, and many have significant wildland firefighting experience prior to joining EPFD. Ebbetts Pass Fire District provides mutual and auto aid responses to wildland fires in adjoining Fire Agencies, Calaveras County and throughout California. During periods of major statewide fire activity, it is not uncommon to see an Ebbetts Pass Fire District engine in San Diego, Ventura County, or on another National Forest such as Sierra National Forest assisting with major incidents. Off-duty personnel are called back onto duty to work during these high fire activity periods to ensure that Ebbetts Pas Fire District in covered at all times. As stated, more and more people are making their homes in woodland settings in or near forests, rural areas, or remote mountain sites. There, residents enjoy the beauty of the environment but face the very real danger of wildland fire. Wildland fires often begin unnoticed. They spread quickly, igniting brush, trees, and homes. There are three different classes of wildland fires. Surface fires are the most common type. They burn along the forest floor, killing or damaging young trees. Ground fires are usually started by lightning. They burn on or below the forest floor in the humus or duff layer down to the mineral soil. Crown fires jump along the tops of trees and are spread rapidly by wind. More than four out of every five wildland fires are started by people. 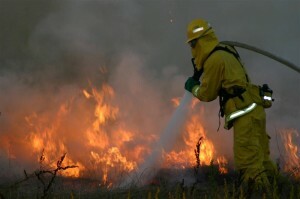 Negligent human behavior, such as smoking in forested areas or improperly extinguishing campfires or burn piles, is the cause of many wildland fires. Lightning is another cause.